Editor’s Note: FightingArts.com is pleased to offer the first in a series of articles titled “Effective Aikido,” by Master Roy Suenaka and Christopher Watson. Suenaka Sensei, founder of Suenaka-ha Tetsugaku-ho Wadokai Aikido, is one of contemporary aikido’s premier practitioners. A student of aikido’s founder, Morihei Ueshiba O’Sensei, as well as Koichi Tohei, Suenaka Sensei is a master technician whose techniques are known for their practical effectiveness. 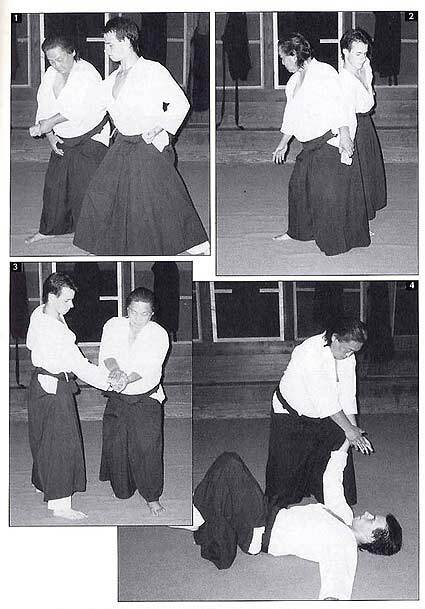 For those acquainted with aikido and its terminology, the technique demonstrated below is: mune-tsuki kote-gaeshi hansha tenkan. Although Aikido is often translated as “the way of spiritual harmony” (ai = harmony, ki = energy/spirit, and do = way), it is by design an effective method of self-defense. Many aikido teachers and schools, however, have so misunderstood aikido’s concepts of harmony and spirituality, and its history, that there has been a dilution of attention to technical detail. 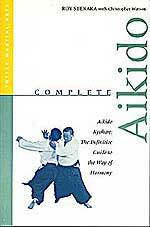 As a result, aikido technique often becomes so soft, flowing and dependent on cooperation that, when practiced in this manner, it loses its martial effectiveness. 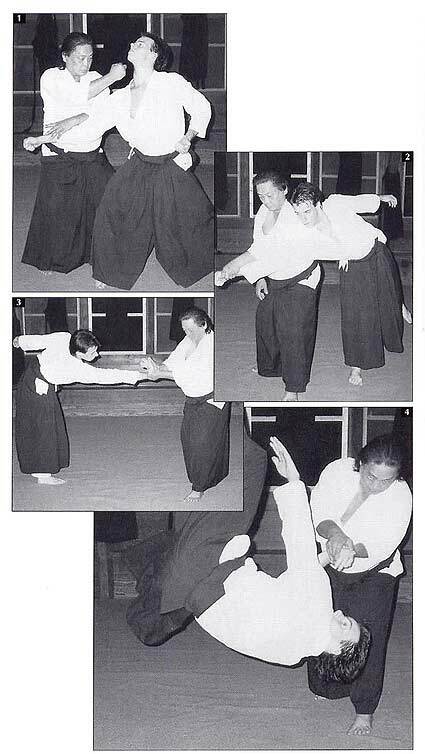 In this series of articles, Roy Suenaka Sensei demonstrates an aikido that is both practical and effective. He also demonstrates many common mistakes that can reduce the effectiveness of technique or leave the defender vulnerable to counters. The first technique shows how a common wrist technique (kote-gaeshi) can be used against an opponent who attacks with a straight middle punch. The attacker delivers a midsection strike (photo 1). Suenaka immediately moves to the same side (outside the forward leg), redirecting the attacker’s strike with his left hand while delivering a counter strike (atemi) with his right. The attacker’s momentum propels him forward. Suenaka captures the attacker’s wrist (his left hand already in place from the initial redirect) beginning the wrist cutting lock (photo 2), and pivots, leading the attacker around him, off balance. Note how Suenaka keeps the attacker’s captured hand in front of him while remaining at the attacker’s blind side. Having successfully led the attacker off balance, Suenaka slides his right foot backwards, whipping the attacker out before him (photo 3), further destroying his balance. 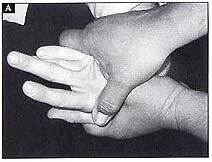 Simultaneously, Suenaka places his right hand atop the attacker’s fingers, bending the wrist along its natural, inside anatomical arc and completing the wrist technique – a kote-gaeshi lock. Suenaka then cuts the attacker’s wrist downwards – again, like a sword cut – propelling the attackersoff his feet and completing the throw. Suenaka moves to the attacker’s blind side (photo 1), but without leading the attacker off-balance or striking, risking neutralization or a counter strike. While turning outward (photo 2), Suenaka drags, rather than leads the attacker, allowing him to get behind him, sacrificing control and again opening himself to neutralization or a counter strike. The attacker is still not off-balance. In photo 3, Suenaka cuts the attacker’s wrist to the side, against the joint, risking injury to the attacker. Improper distance and lack of lead allows the attacker to maintain his full balance and potentially deliver a counter-strike, or move himself to the outside to neutralize the technique. The attacker is forced to the mat (photo 4) by strength alone. The attacker’s hand is forced unnaturally outwards. Lack of lead forces the defender to rely on strength and the pain of the outside lock to effect the throw. 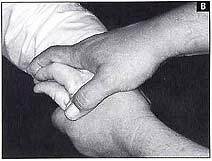 The attacker’s hand is locked and bent backwards along the natural arc described by the fingers. With proper lead, this lock is always effective. This article was abstracted from demonstration of technique by Suenaka that accompanied a biographical article on Roy Suenaka Sensei titled, “Spiritual Versus Martial Aikido – Explanation & Reconciliation” published in the Journal of Asian Martial Arts, Vol. 5 # 1, in 1996. It is reproduced courtesy of Via Media Publishing Co. Mikchael A. DeMarco, as well as Chris Watson and Roy Suenaka Sensei.